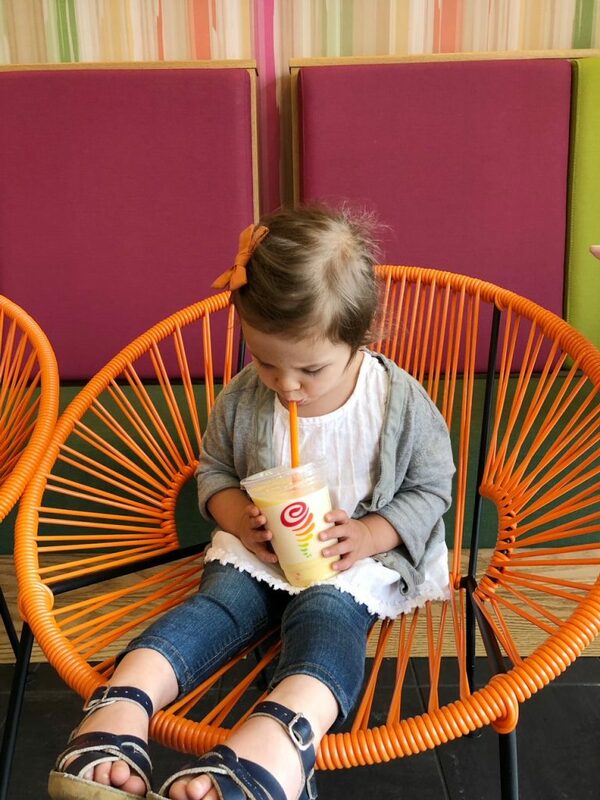 *This post was created in partnership with Jamba Juice. All thoughts and opinions are entirely my own. Thank you so much for checking out and supporting the companies that I truly love! I don’t know if any of you feel this way (I have a sneaking suspicion we are in the same boat) but a lot of my days as a mama feel like an endless loop of “go-go-go!” and to-do lists a mile long. It can be really overwhelming and a lot of the truly important things like quality time with my kids, healthy eating and self-care can fall by the wayside when put up against the “necessities” like packing school lunches and doctors appointments and soccer practice. 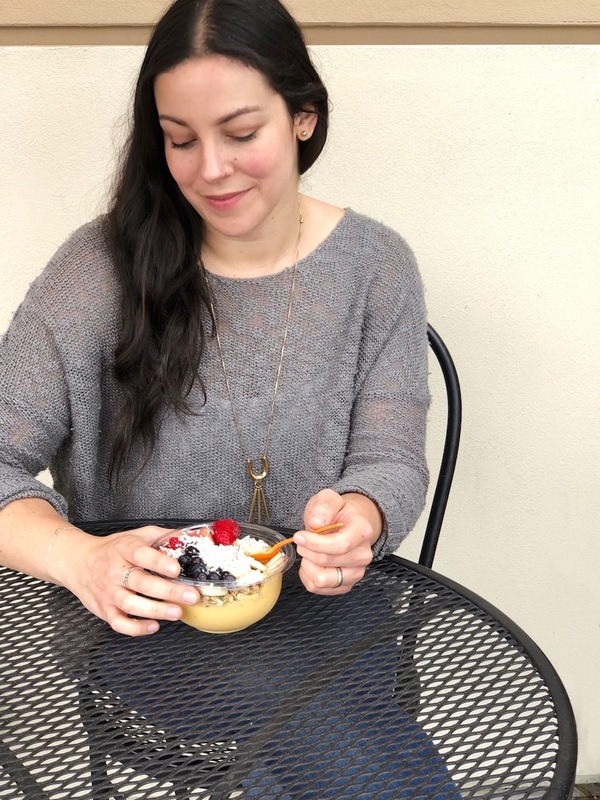 Those “necessities” are of course incredibly important, but so are those other to-dos that we tend to find “less essential”, like stopping to connect with my little ones or making space for a bit of time to myself. Recently though I realized that making these “non-essentials” a priority can make such a big difference for me as both a mom and an individual as well as my kids. Even more importantly though, I realized that taking a time out doesn’t have to be something that requires a ton of money or time…sometimes simple is best. 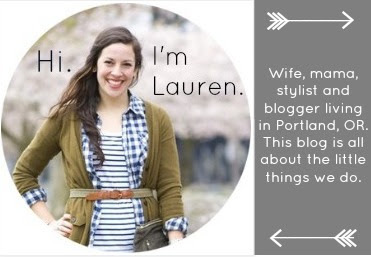 A couple weeks ago, while running my Monday errands, I found myself in a bit of a tizzy. As I was rushing around dropping off overdue library books, getting the car washed, and trekking to three different grocery stores I realized that I just needed to press pause. 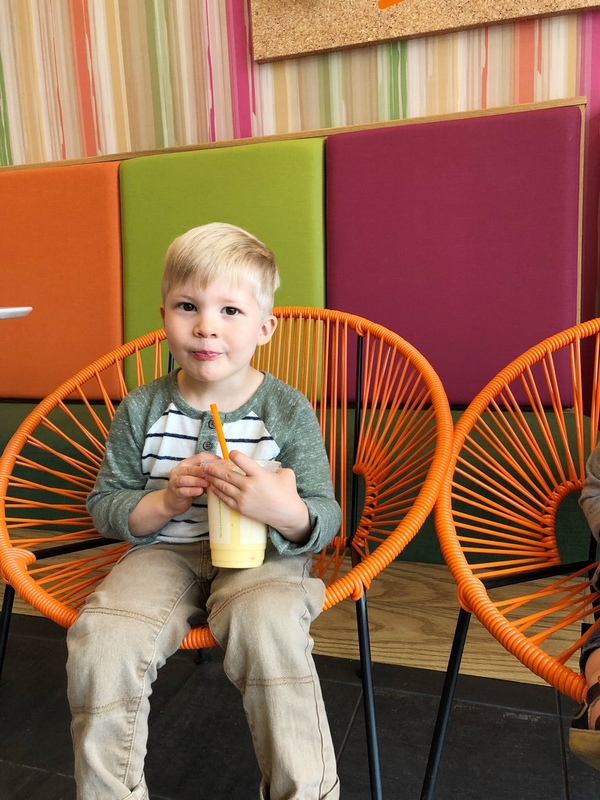 My kids were becoming increasingly grumpy and I could tell we all just needed to break up the day a bit, so I suggested a midday date to Jamba Juice. 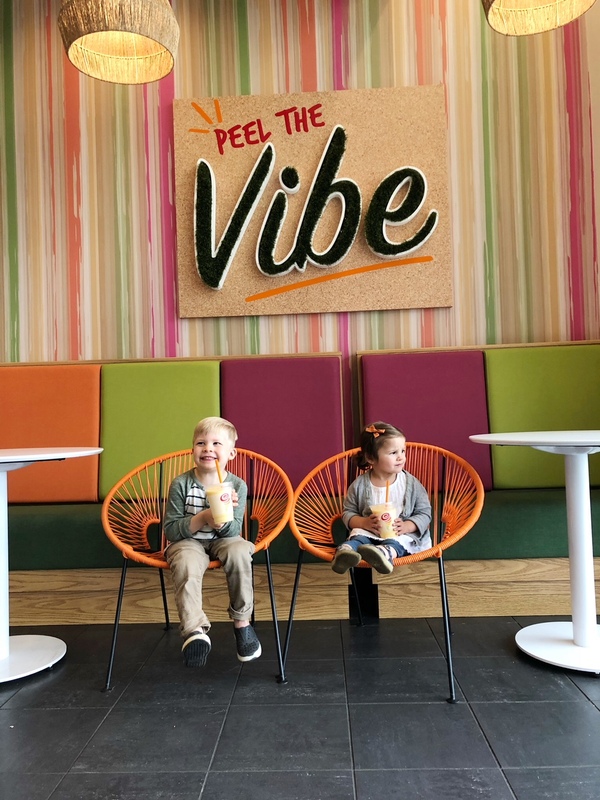 This idea was met by instant cheers from the backseat of the car, because my kids think Jamba is pretty much the best place on the planet, because they get a sweet treat without any gripes from me (little do they know they are getting a ton of great vitamins in this sweet treat!). 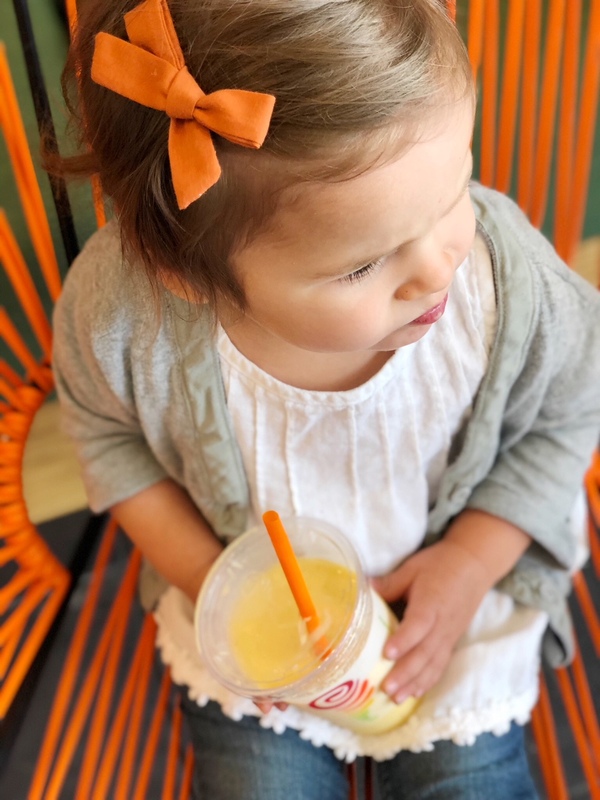 We decided to order from their seasonal mango offerings and got Mango-A-Go-Go smoothies and the kids slurped them down while regaling me with stories and jokes (Clive is real into joke telling these days)…only pausing for the occasional brain freeze from Alice, who hasn’t yet learned that cold things are best slurped slowly – ha! After we finished up our treat, we went about with the rest of our errands, but we had a new energy about us. It was something so small and simple, but it gave us that important bit of pause and connection to wash away the grumps of the morning and give us a fresh start. Sometimes that’s really all we need…a bit of a fresh start. Because this life lesson in taking a time out worked so well with the kids, I even decided to treat myself to a little solo time at Jamba later in the week when my kids were away at the grandparents’ house for the afternoon. 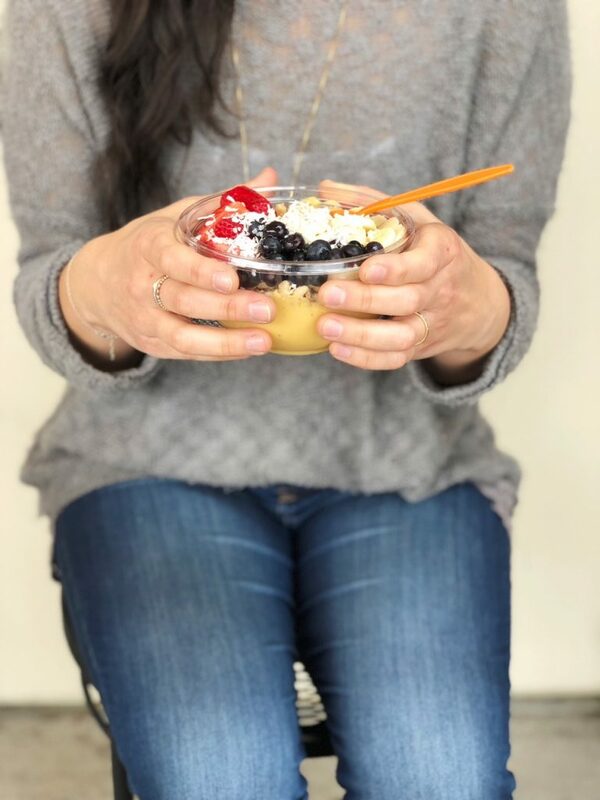 A Mango Medley Bowl + a bit of mindless perusing on my phone felt like a glorious, mini-vacation. It wasn’t elaborate, but it felt like an indulgence…and a healthy one at that! 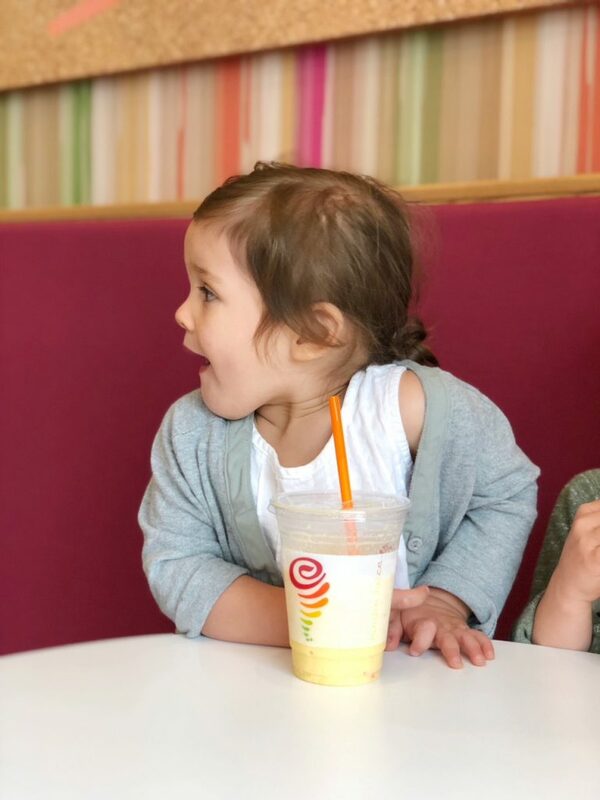 Sometimes life and motherhood gets overwhelming, but I am thankful for the little moments when I’m able to take pause and recharge (both by myself and with my kids), because I’m always able to come back feeling refreshed and more ready to take on all the daily tasks. What do you do to find a little “pause” in your day? Do you feel like it changes the mood for you and your kids too? 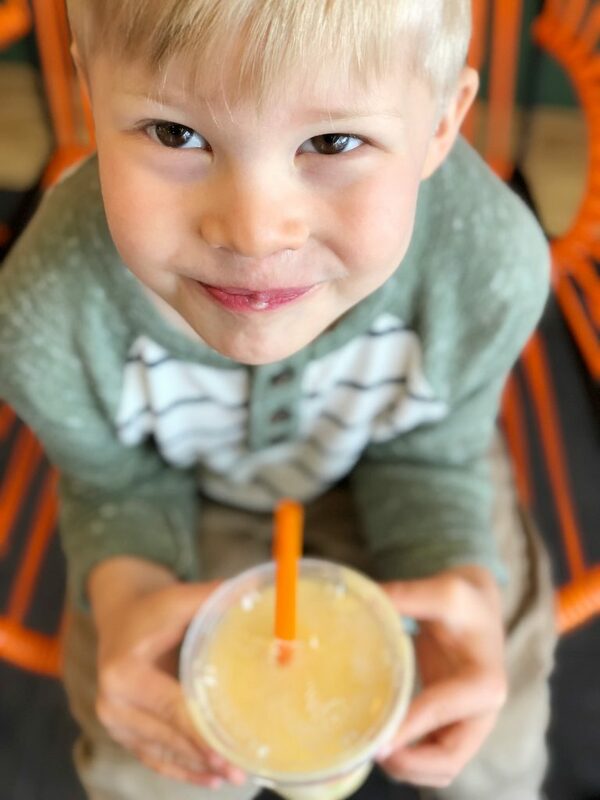 In case you want to try out my kid-date or self-date to Jamba Juice soon, I’ve got a $2 off coupon code for any of you to try their new Mango power players menu if you order ahead online (it’ll be going through next week!). Just use the code JAMBALITTLE and enjoy!